JoomShaper has been a proud sponsor of almost all Joomla events around the world to promote Joomla in various ways. We have been doing this from our strong intent to accelerate open source software innovation and grow the Joomla community to improve the worldwide web experience. 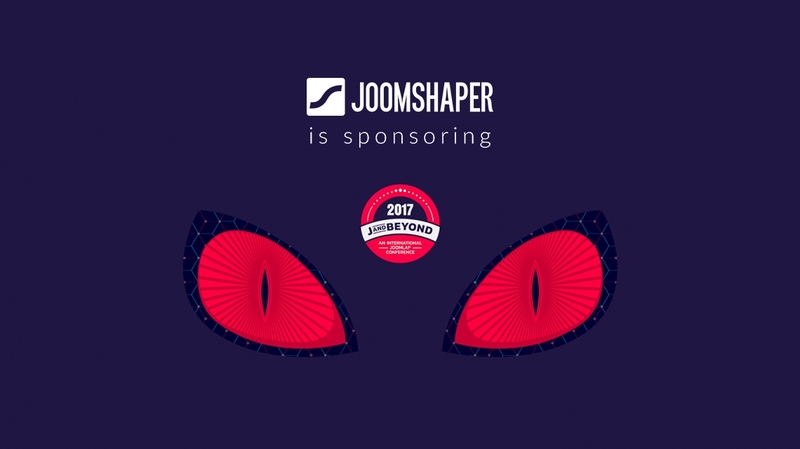 We are very glad to share with the community that, JoomShaper is a Gold Sponsor for the J and Beyond 2017, an international Joomla conference. The J and Beyond Joomla conference will take place in Kraków Poland from 2nd June to 4th June this year. This conference is an amalgamation of Joomla developers, site integrators, users, enthusiasts and 200-250 of the top minds in the Joomla world from more than 30 different countries. We welcome you to attend the J and Beyond 2017 conference and visit the JoomShaper booth at the event location. Of course, don’t forget to collect FREE T-shirts, discounts on subscriptions, brochures and more there we have for you. If you regularly visit the JoomShaper blog or follow our social media feeds, you do know that we have been supporting most of the Joomla events all the times. We sponsored Joomla World Conference 2016 Canada and Joomla World Conference 2015 India. Some of our other recent sponsorships went for JoomlaDay France, JoomlaDay Australia, JoomlaDay Malaysia, JoomlaDay Denver, JoomlaDay Bangalore India, JoomlaDay Florida, JoomlaDay Minnesota and more such community events. At JoomShaper we’re committed to making a more beautiful and more powerful web with our high quality Joomla products. We love Joomla, we love open source. Stay with us to show your support!